Sydney’s Putt Putt Golf & Driving Range are open day and night and perfect for any golfer, at any level. 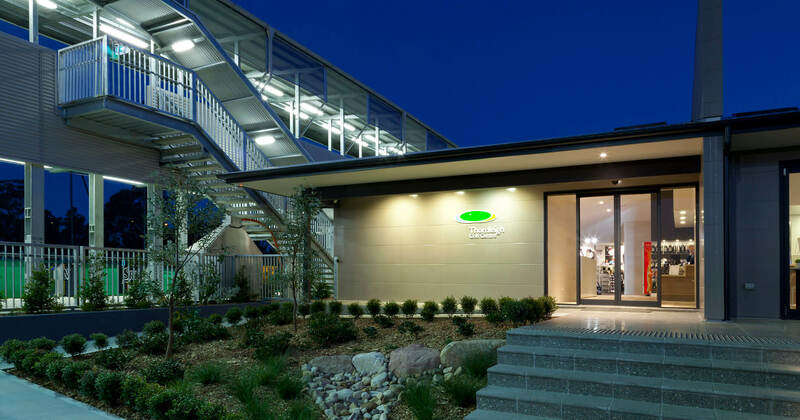 Thornleigh Golf Centre opened in July 2012 and has established a new bench mark for golf practice ranges in Australia. We guarantee you will enjoy the experience whether you’re a beginner looking to learn the basics of the game or an experienced club golfer. Our 2 eighteen hole mini putt putt golf courses are great for birthday parties, a social catch up with friends and have become popular for Corporate Golf Days & events. We also have function space available for the parties or corporate events to continue. After you hit some balls or practice your putt putt golf Sydney style, relax in the Bunker Café or browse our golf retail shop, where we are carrying all the leading brands at competitive prices. Looking to further hone your golfing skills and would like the help of a professional? Our team of Golf pros are on hand for private and group golf lessons including junior golf clinics. Our team is led by Steven Aisbett, a qualified PGA member who has trained a team of juniors who have become PGA professionals. If you would to love putt putt in Sydney, Thornleigh Golf Centre is the ideal new base for practice and all your golfing needs. We’re committed to “promoting the game of golf” in our community.